Kenya is one of the most ethnically diverse countries in Africa, if not the world. Ethnicity has played a central role in almost all spheres of the country’s development landscape. There are 44 officially recognised tribes in the country that boasts a population of about 50 million. Kenyans of Indian descent were the latest addition to the concoction of rich culture and heritage that exemplifies the East African nation. As they say, “language is the barometer that constantly measures the health of a culture”. Closely linked to culture is sport. Sports plays an important role in society by bringing people together. It builds solidarity and reminds us of the importance of being connected to a community. This is well demonstrated in football. Take for example the Kenyan situation, where the downside of ethnicity is tribalism and nepotism. When the national team is playing at home people from all ethnic backgrounds flock to the stadium to support their team – Harambee Stars. The term harambee means “all pull together”. In my debut article on this blog I pointed out how football exposed me to my own country. When playing in the regional league and later the Nationwide League (now National Super League) I had the opportunity to visit a number of Kenya’s towns and villages. The time I played in the regional Aberdare league is worthy of note. We were required us to travel extensively in the central region of Kenya, which is mostly occupied by the Kikuyu community. Our team was predominantly from the Western region with Luos making the majority. Because of our obvious physical/facial differences it was common to hear comments like “hawa ni Wajaluo” (these are Luos) from fans when we arrived at away match venues. In some cases, you could sense disdain and even hostility from our hosts. However, by the end of the match we usually had gained respect and even admiration from the fans. On more than one occasion they would applaud us as we walked off the pitch after a great display of football. For a long time, the Kenyan football scene has been dominated by two clubs – AFC Leopard and Gor Mahia. These two clubs draw their support from the Luhya and Luo communities, respectively. They also happen to produce a bulk of the players that dominate the football scene. This year sees the entry of Mt. Kenya United Football Club. Mt. Kenya is the region inhabited mainly by 3 communities: Gikuyu, Embu and Meru. The Kikuyu are Kenya’s most populous tribe and are also seen to dominate in the business and political arenas. However, the same cannot be said of their sporting prowess both in terms of participation and fanship. Traditionally, it is not their turf. However, football being what it is, continues to attract interest from all. Globally and historically the sport has always been seen as a platform for fronting political ideology and this continues to be the case in Kenya and other African countries, where it is compounded by ethnicity. More and more, people are also realizing the business potential that the sport holds and are therefore looking to invest in the game. I believe this is what has led to the establishment of Mt. Kenya United F.C. It will be interesting to see how the club develops and the effect this will have on the Kenyan football industry. So, what can we expect? In my view, the formation of Mt. Kenya F.C. is mainly a political move. The aim is to have the Kikuyu community represented in the country’s most followed sport. Whether this is a good thing or not is debatable but we can look at the potential outcomes. Being the most populous community, augmented by the Embu and Meru, the move could popularise the sport in the area greatly increasing the fan-base, which is great for the industry. However, there is risk that this new crowd will mainly be harnessed for political mileage and in extreme circumstances exacerbate hooliganism that has been a preserve of the Luos and Luhyas. Some comments on social media are already raising fears of crowd trouble when Mt. Kenya United visits Kisumu or Gor Mahia visits a yet to be named venue that will host Mt. Kenya United. One famous central region politician, once an ardent Kogalo fan, has switched allegiance to his home team, a move seen as purely political and populist. However, in light the famous handshake, we can be more optimistic and hope that football could be used to foster integration and unity as opposed to division and animosity. Recently we have witnessed the growth of football as a business with people investing millions of dollars in clubs and players. This phenomenon is yet to catch up in African football and sports in general. 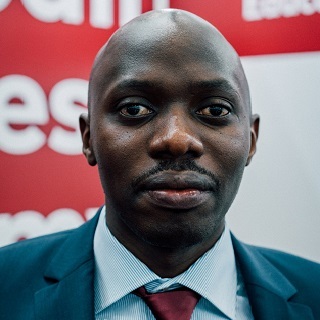 Even though the conversations have now started, as was witnessed at the recent Africa Investment Forum, the sport has failed to attract private investment. Therefore, the purchase of Nakumatt FC by a private individual and the transformation of the club into Mt. Kenya United F.C. should be seen as positive development, ethnicity and politics notwithstanding. We still have a long way to go considering investment will normally be driven by the potential for returns. Certain factors need to be in place, top among these, a market. And this is where ethnicity could be factored in. Football operates a multi-sided business model pitting fans on one side and sponsors on the other. In Kenya football has struggled to attract fans for a long time. Marketing the sport outside the AFC-Gor (Luhya-Luo) axis has proved to be a great challenge. How can we market a team sport in an ethnically diverse population, especially when the sport is seen to be a preserve of certain ethnic grouping? Answering this question might prove to be the key that unlocks a market for football clubs in Kenya and other ethnically divided nations, especially in Africa. This should be done without tapping into the negative connotations of ethnicity. In sporting or footballing terms ethnicity has always presented challenges as well interesting perspectives. Again, looking at the scene in Kenya where the best players are drawn mainly from the two communities, it can be challenging to try and grow the sport in other regions of the country. However, it has been proven time and again that other communities can produce real gems. A case in point is one of Kenya’s current stars Francis Kahata who hails from the Kikuyu community. 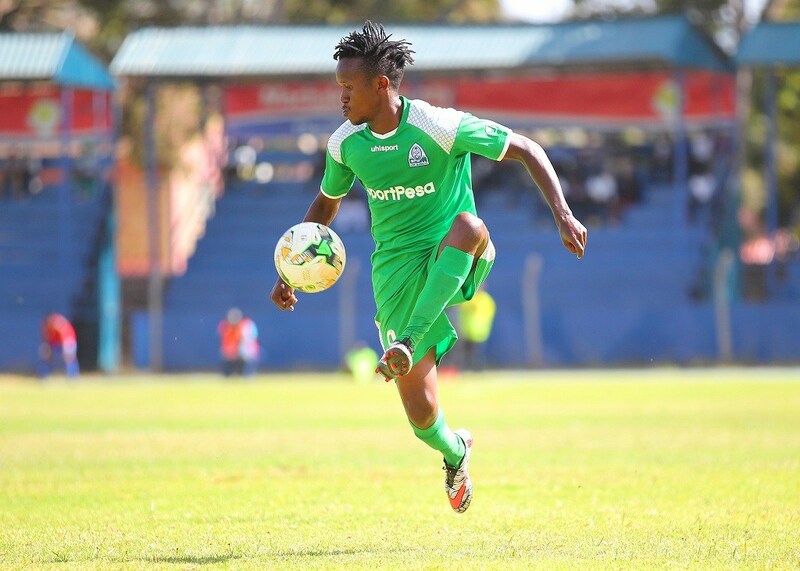 Wuod Nyambura ironically plays for the mighty Kogalo and has over time managed to win the hearts of the Luo despite being Kikuyu. Wuod Nyambura means son of Nyambura in Luo. Talent covers for a multitude. There was talk of him together with others like Kenneth Muguna (Meru) moving to the newly-established Mt. Kenya United. Well, we can say talent is geographically dispersed but there are areas that tend to produce better players than others. In my view, this should be a subject of research and used to inform investment decisions in sport. Kenya has done that with athletics and the results are there for all to see. Apparently, the same has also been observed in Fiji where the rugby talent comes from a particular region. When developing players, outliers like Kahata, perhaps would do well to move to the western region where we can have a higher concentration of centers of excellence. Ethnicity has also affected team dynamics in African football. One Philippe Troussier famously known as the white sorcerer for his knowledge of African football said it was the reason African teams tend to employ foreign coaches. It is difficult for local coaches to be objective in their selections due to tribal affiliations. This definitely leads to teams not putting their best talents on show at any given time. It will be interesting to see how Mt. Kenya United lines up for the new season. Will they give preference to players from the region or will talent overcome ethnicity? Africa is the most ethnically diverse continent in the world and Kenya is just a case in point. Ethnicity as we have seen can be used as a positive influence; celebrating diversity, or negatively as tool to highlight differences and propagate disunity and negative competition. 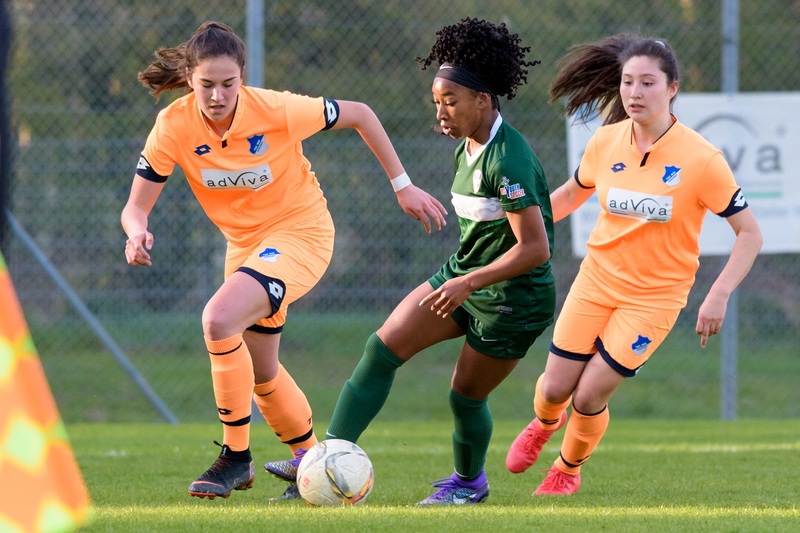 Football is highly influenced by ethnicity in many African countries and it is important we understand exactly how this happens with a view of promoting positive competition, allocating resources efficiently and fostering diversity. My name is Brian Wesaala. I am an Information Technology professional with over 8 years experience in international organisations. I am also trained accountant, football enthusiast and sport entrepreneur. I am currently pursing a Professional Master in Football Business at the Football Business Academy. The #ObamaCup2019 #SkillforLife workshop kicked off yesterday at Strathmore University. The workshop was opened by @PmiKenya president Clement Kitetu. 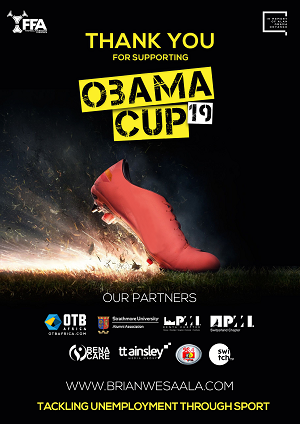 The annual #ObamaCup tournament played in honour of Alan “Obama” Onyango will be held on 30th March 2019. The event aims to tackle unemployment through sports!